Ripken Hotels is proud to offer Myrtlewood Villas as the leading accommodations partner for the Ripken Experience. The modern condos available at Myrtlewood Villas offer one, two or three bedroom layouts that are sure to be ideal for any group or team size. You will feel right at home with a stay at the beautiful Atlantica Resort. Our charming and spacious one and two-bedroom condominiums provide you with all of the perks of a destination vacation along with the comforts of home. Bali Bay Resort, in the heart of Myrtle Beach, is proud to partner with the Ripken Experience to provide deluxe accommodations for teams and families traveling to the Grand Strand region. Located oceanfront in the heart of Myrtle Beach, the Breakers Resort is home to one, two or three bedroom condos that are sure to be a hit with your guests. A fantastic selection of property amenities including an oceanfront water park, huge lazy river, whirlpool, sauna and exercise facility are available to all guests during their stay. Offering modern two, three and four bedroom condos in a beachfront complex, the Caribbean Resort provides great accommodations and a ton of amenities for Myrtle Beach visitors. A favorite of Myrtle Beach visitors for years, Compass Cove provides diverse room layouts that will be ideal for groups small or large. Whether you're seeking individual suites or larger two or three bedroom condos, Compass Cove has a huge inventory. 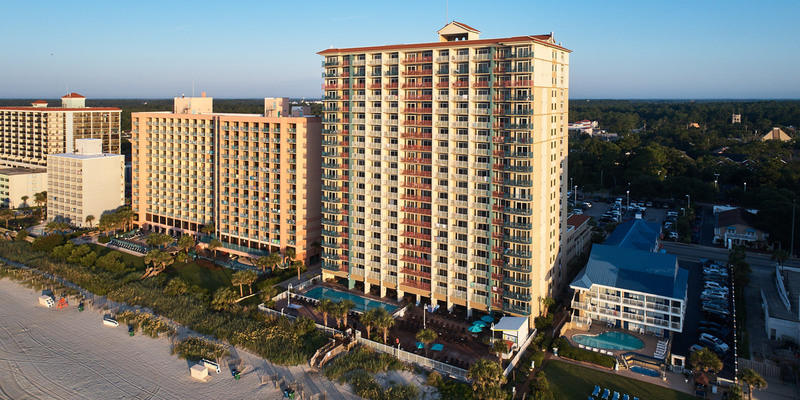 With plenty of great water amenities, fantastic oceanfront location and first-rate accommodations, Long Bay Resort is ideal for Myrtle Beach travelers. Over 300 units are available within the resort making large team reservations easy. Situated on the south end of the Myrtle Beach Boardwalk, the Bay View Resort offers unbeatable location with great accommodations and a huge variety of property amenities. 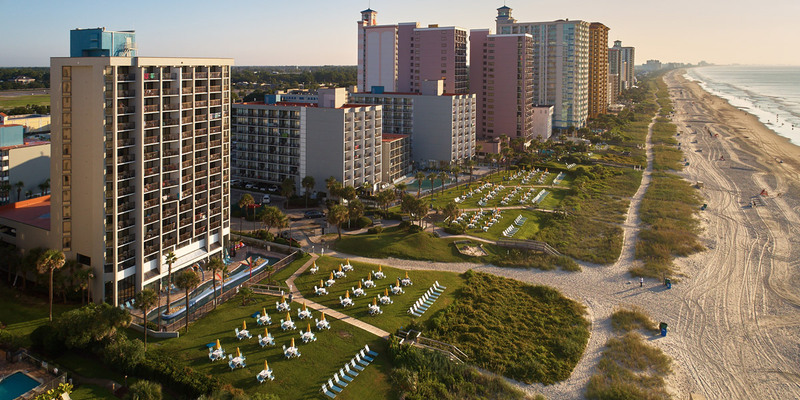 Enjoy your Myrtle Beach trip with the fantastic accommodations available at Ocean Reef Resort. These modern condos come in sizes ranging from studios up to four bedrooms and offer guests great conveniences like full kitchens, sleeper sofas and multiple TVs with cable. 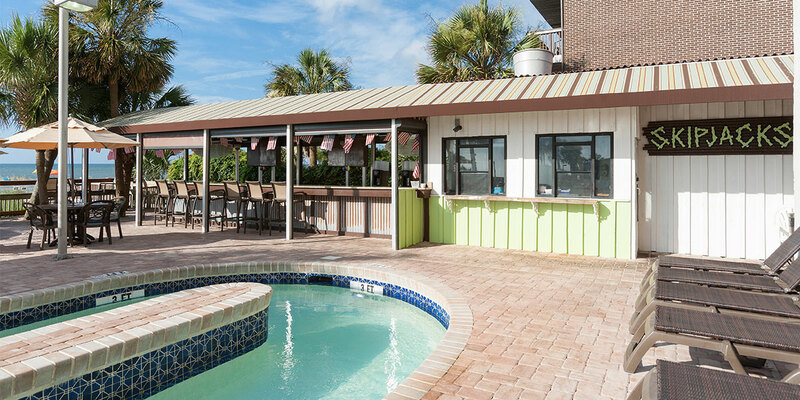 With accommodations ranging from efficiencies to sprawling four bedroom oceanfront condos, your team will be easily accommodated at Paradise Resort. Many of our condos offer standard conveniences like fully-equipped kitchens and washer/dryers. The Dayton House Resort has been a Myrtle Beach tradition to beachgoers and families alike for over 55 years. Centrally located in the heart of Myrtle Beach, you are merely walking distance from it all. Travel teams and families trust Ripken Hotels because of our partnerships with the most popular and well-equipped resorts in Myrtle Beach. Our partner properties provide you with both unparalleled convenience and non-stop fun! Many of the condos available for rental include standard features like fully-equipped kitchens, washers/dryers, multiple TVs with cable and complimentary WiFi. 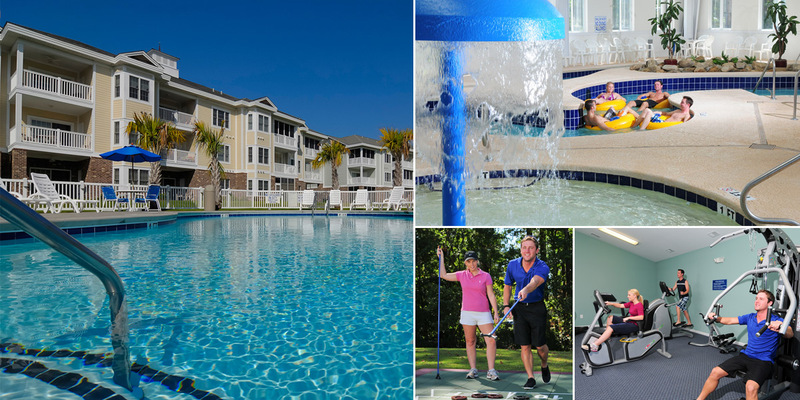 Around each property, you will have a multitude of ways to fill your vacation with relaxation or excitement, like indoor/outdoor pools, Jacuzzis, lazy rivers, water slides, fitness centers and convenient access to the beach and all the biggest attractions in Myrtle Beach. Whatever it is you're looking for in a rental condo, you and your team are sure to find it when you let Ripken Hotels assist you in making your travel plans! You will feel right at home with a stay at the beautiful Atlantica Resort. Our charming and spacious one and two-bedroom condominiums provide you with all of the perks of a destination vacation along with the comforts of home. 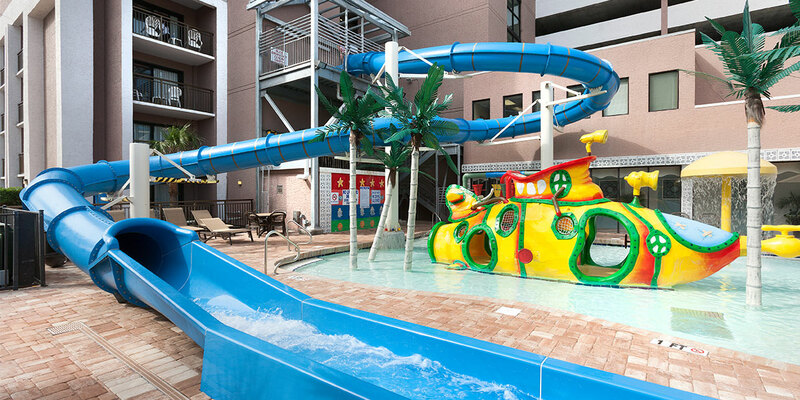 With a variety of amenities, Atlantica Resort offers up fun and relaxation for the entire family. Outside, enjoy the spectacular view of the Atlantic Ocean and experience the relaxing tranquility of our oceanfront pool. Close your eyes and escape the daily stresses of life with a voyage down our 150 ft. long lazy river. Wind down in the outdoor whirlpool spa, as the kids enjoy themselves in the kiddie pool. The amenities continue inside, as guests will find an indoor pool with a cascading waterfall and an additional hot tub. Bali Bay Resort, in the heart of Myrtle Beach, is proud to partner with the Ripken Experience to provide deluxe accommodations for teams and families traveling to the Grand Strand region. With the best in modern, luxurious furnishings and amenities, you will love spending your time off the field at Bali Bay! Each luxury condo features a fully-equipped kitchen, cable TVs, WiFi Internet access, and spacious floorpans with comfortable furniture and bedding for the entire group. Additionally, our condos include private balconies, so you'll have a spectacular beach view of the Atlantic Ocean. Take advantage of on-site amenities, including sparkling oceanfront pool and much more! 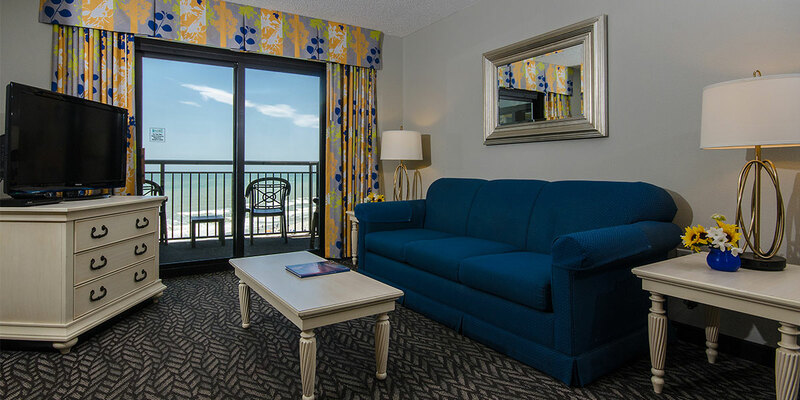 When you reserve a stay at Bali Bay Resort in Myrtle Beach, you are putting yourself in the perfect location to see the best of what the Grand Strand has to offer. 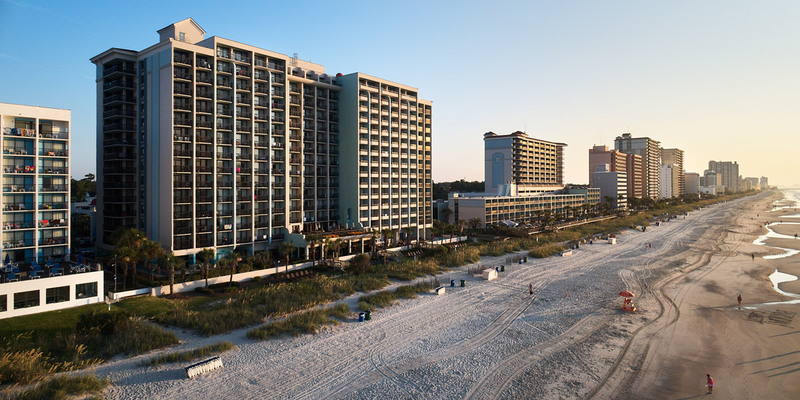 Within close proximity to hotspots like Broadway at the Beach, Coastal Grande Mall, and the Myrtle Beach Boardwalk, there's always a fantastic Myrtle Beach adventure awaiting. Bring your Ripken Experience beach vacation to our modern, luxury Myrtle Beach resort, Bali Bay! 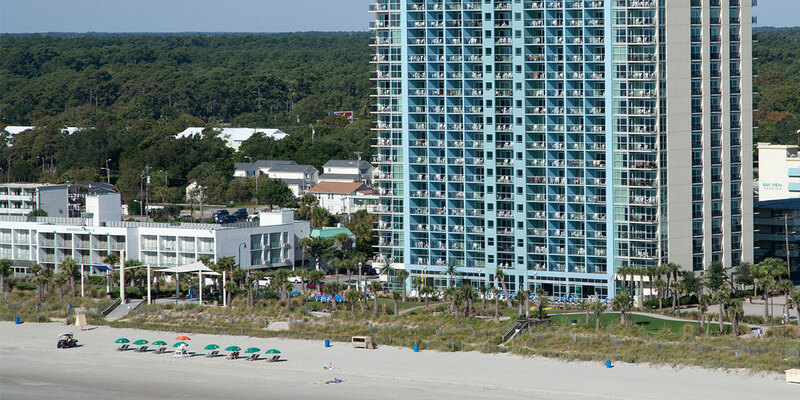 Offering modern two, three and four bedroom condos in a beachfront complex, the Caribbean Resort provides great accommodations and a ton of amenities for Myrtle Beach visitors. Caribbean Resort offers a large variety of unit types ranging from suites to large four bedroom full condos. From indoor/outdoor pools and splash areas to a poolside bar and fitness center, there's something for everyone at the Caribbean Resort! The Dayton House Resort has been a Myrtle Beach tradition to beachgoers and families alike for over 55 years. Centrally located in the heart of Myrtle Beach, you are merely walking distance from it all. Enjoy great dining choices, thrilling attractions and great shopping. Not to mention you are only steps away from the Myrtle Beach Convention Center, Myrtle Beach Sports Complex and Myrtle Beach Boardwalk. Our resort will feel like your home away from home when you stay in any of our spacious efficiency rooms and suites. Each room features all the comforts of home along with private balconies with property views, angle ocean views, and oceanfront views. We can't forget about the amenities. Take a dip in any of our 6 oceanfront pool & hot tubs, relax with a lap in our oceanfront lazy river, grab a bite to eat from one of our onsite restaurants and last but not least, work on your glowing tan on our 2 acre oceanfront tanning lawn with iconic yellow umbrellas. 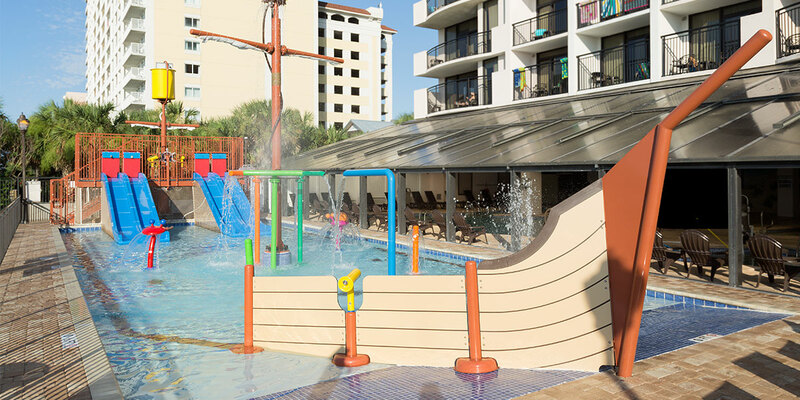 If you are seeking family fun and a relaxing getaway, we recommend choosing the Dayton House Resort for your next Myrtle Beach Vacations destination.